Compress PDF has the capability to minimize file size of PDF documents, especially useful for those PDF files with many graphics and photos. You can send smaller and faster emails, save your storage space, decrease file upload or download times after reducing file size of PDF documents. 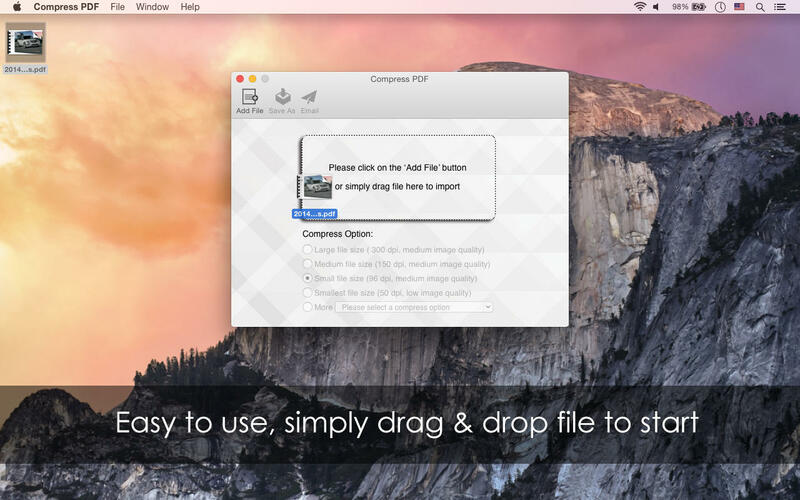 Simply drag and drop the PDF files into the app to get started, compression will begin immediately. You can easily send PDF as attachment directly after compression. It provides 10 preset options to meet your different demands. You can choose from lossy image quality to minimal file size as you wish. Compress PDF reduces file size by compressing the images within PDF document. It uses JPEG, which is a commonly used method of lossy compression for image. So you can get high quality but small PDF file after compression. 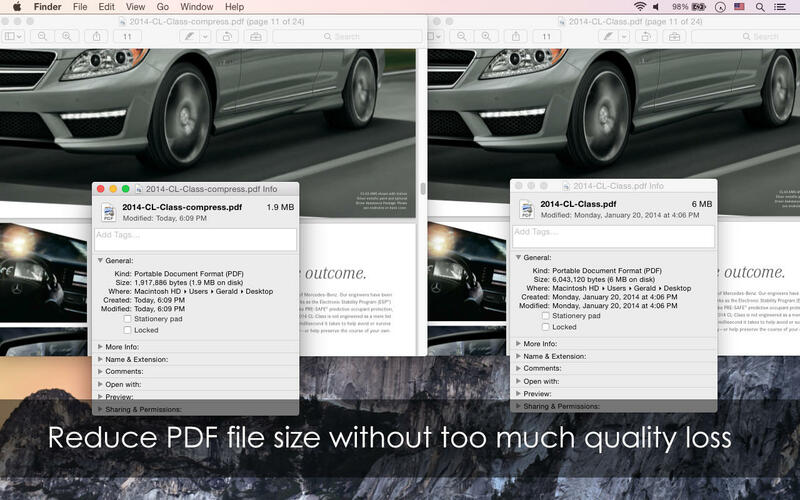 For some PDF files, file size can be reduced by 90%. The app may not work for PDF files that was compressed before, your understanding will be appreciated. If you have any questions, please contact support@lightenpdf.com before leaving a negative reviews, thanks for your support. - Improvement for OS X Yosemite.